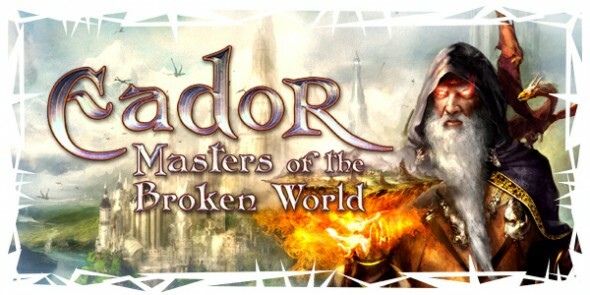 Eador: Masters of the Broken World – is a turn-based strategy with loads of RPG elements from developer Snowbird. We were fortunate enough to receive access to this game’s beta? With this we can give you an early(ish) look at this ambitious game. 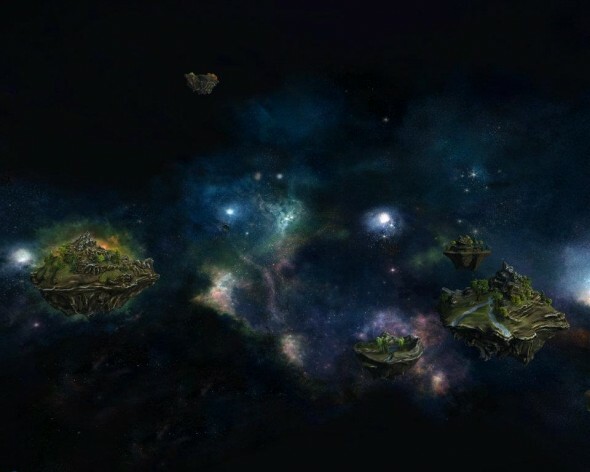 The universe of Eador is called “The Astral” – a strange cosmic space in which small pieces of land called Shards are floating. Each of the shards is a little world unto itself, with geography and denizens of its own. The Shards are heavily contested by The Masters, these immortal beings all have the objective to group every shard into their on world. The Masters however are not physical beings, so they will need Heroes to do their conquering for them. This is how the stage is set, in Eador you will take the roll of a Master and try to conquer the Astral. During you conquest you will meet the other Masters and learn more about The Astral. Note: We’ve had to look up some of the story parts on the official website, because the beta doesn’t give us that much insight yet. Eador has some pretty nice graphics, the artwork is nicely done and fits the fantasy setting perfectly. There are loads of visual cues that can give you information about the world and the battlefield without you having to open information windows. It is clear, only by looking at the character models, which units are epic and which are practice dummies. Eador features some beautiful and very fitting background music, but I was disappointed in the combat sounds, or lack thereof. There are very few animations that have accompanying sound cues during combat, which made the combat feel empty somehow (it’s difficult to explain, just try playing a game without sound to get what I’m talking about). Hopefully this is just a quirk from the demo version that I got to play, we will see. There are three different levels of strategic gameplay in Eador. On the highest and most basic level, you have The Astral, where you choose which shard you will try to conquer next. You will make your choice based on the Shard’s difficulty levels and it’s rewards. The rewards can be resources, energy (which you need to invade new Shards) or technology (in the form of new buildings that you will be able to construct). There is no other way to unlock new technology than conquering Shards so make your choice Wisely! On the mid level you have the Shard, which you are trying to conquer. This level is comparable to a very light version of Total wars campaign map. The Shard is divided into different provinces, which you can capture through combat or diplomacy. To conquer the Shard, you will have to capture your opponents Stronghold. To lead your armies into enemy provinces you will need heroes. There are four different kind of heroes which you can hire: There is the Warrior a tank-like unit which specializes in melee combat. The Rogue, a range combat specialist which is better in diplomacy and exploration than the other heroes. The Mage, which is excellent at casting spells and summoning minions to fight for him. And last but not least, the Commander which can lead the largest armies, he has attributes which are focused on improving his units abilities. The lowest and most ‘awesome’ level of gameplay is the combat, which happens when you decide to capture a province by force. This level looks a lot like the Heroes of Might and Magic games. 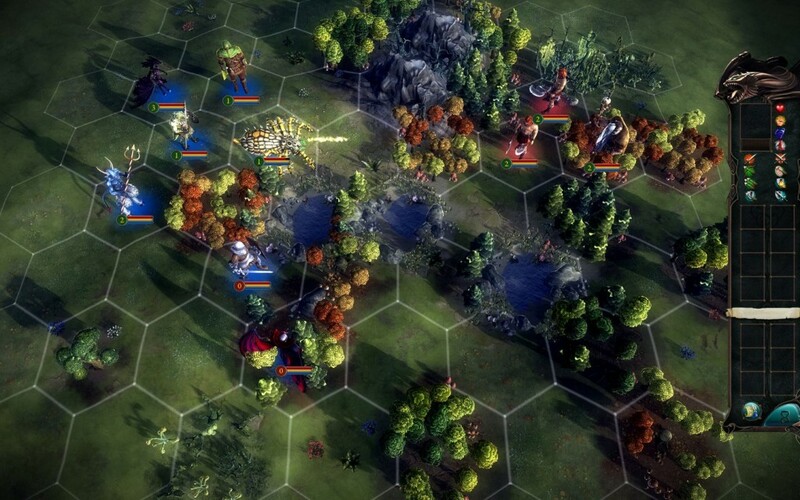 You will deploy your units on a hexagonal grid, after which you and your opponent each take turns moving units and attacking. 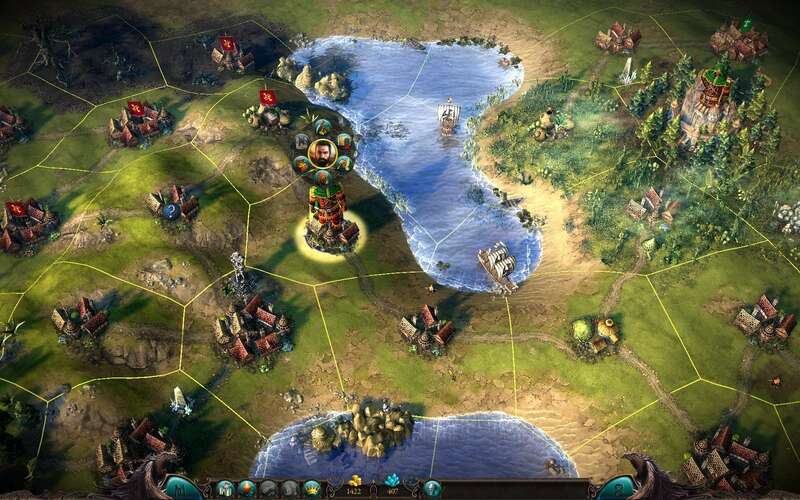 Here each grid can have its own terrain which provide boosts or penalties.For example, hills increase the range of ranged units range but require more movement points to cross. Your units cannot be stacked so they will all represent one character on the field, and once it’s gone it’s gone (except for your hero which can be resurrected), so you’ll always try to come out of combat with zero casualties. Besides the strategic gameplay, there are also tons of RPG elements in this game. As each of your heroes gains experience, they will level up and you’ll be able to improve some of their attributes and after a certain level you will even get to pick a specialty for them (i.e. the Mage can become a Sorceror or a Sumoner, etc). But it’s not only your heroes who gain experience, every single one of your units will be able to level up and become more powerfull. There is also a karma system in the game which keep track of all your decisions you make during random events. If clerics ask you to give them money to build a church for the Lord, you can oblige, refuse or hang them of course. It also keeps track of the types of units you use during combat (more evil units will give you bad karma). Your karma doesn’t have a lot of effect on the gameplay but will determine which of the games 8 endings you will see. Here I will write about my experience with the beta version of the game, since it is still in development it is entirely possible that some of my complaints will be fixed when the game is released, so keep that in mind. Overall the game was very sound, and provided a lot of variety of strategic gameplay. The combat especially is very enjoyable, trying to keep all your leveled units alive, while still having to use them since level 0 units are killed quite easily. Eador is also a very big game, there are tons of units that can be recruited, buildings that can be build and choices to be made. It will probably take you a while before you fully come to grips with every different aspect of the game. According to the developers the campaign anywhere from 30 to 120 hours to get to one of the games endings, and the “best” one takes the longest. My main problem with the game is the way it presents the tons of information it has to you. Or how it fails to do so properly. The next few paragraphs are some of the most annoying examples I came across. It can be really difficult to figure out which buildings you need to build to unlock a certain more advanced building, since the game’s building tree is basically just a grid. It took me a day to figure out that you can only build basic buildings in captured provinces, and only after you built some other buildings in your stronghold. It is also difficult to keep track of “side quests”, which you can get when trying to form alliances. Like when the Lizardmen gave me a task to kill a certain number of a certain creature before agreeing to the alliance. It was impossible to find out where I could find these creatures, which creatures they where exactly (if you forget), or how many you already killed. The game also needs some sort of encyclopedia which explains all the strength and weaknesses of the different types of units. Right now the only way to find out is trial and error, which is not ideal in a game which features perma-death. I also went into some battles in which the enemy stood no chance, according to the battle screen (where you can decide to attack, retreat or negotiate). Only to end up in a fight against two trolls that could one-hit every one of my units, including my hero. Luckily the game auto-saves before every battle. These usability problems are a real shame though, since once I figured most of the game out, it was very enjoyable. These things can discourage at times and I feel that I would have played more of the game if they weren’t there. None of these problems seem incredibly difficult to fix though, so hopefully they will be when the game is released.